The laptop is making a grinding noise and you have pinpointed it as coming from the hard drive. Hard drive does not work at all or making a grinding noise when laptop is turned on. The laptop is dead and you need to recover data. In either case the first thing you should do is to recover the data off the hard drive. Here are a serious of simple steps that you can follow in order to do this but first make sure you have the right kit to tackle the problem. 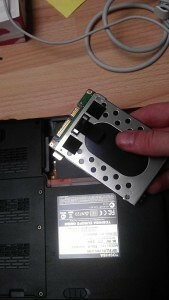 Remove the hard drive from the laptop. 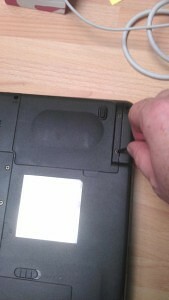 If you are unsure how to do this then refer to our laptop disassemble guide. 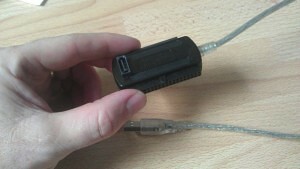 Attach the removed drive to the converter cable or insert it into the cable. Then and insert it into your own computer. From there you should be able to see the drive in ‘My Computer‘ or ‘Computer‘ and recover the data using the steps that we will show you shortly. If no drive is detected then either the drive is physically damaged and data cannot be retrieved without the assistance of a professional data recovery company, if you are carrying out laptop repairs for profit then you can still charge your customer for this service and make a profit by carrying out the necessary steps on their behalf. 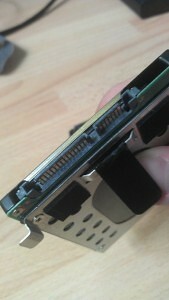 There are many hard drive tools on from our downloads section that may be able to repair the drive which you can use. The grinding noise usually means that the drive is on it’s way out. 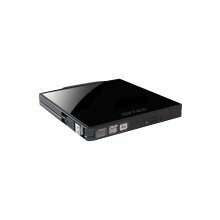 Order a replacement and recover the data to the replacement drive. In order to do this follow our ordering a replacement part guide. Make sure that the drive you order is of the same connection type, i.e if IDE or SATA. If possible take an image of the drive. This means that you clone the contents (including the Operating System) of the drive. You can choose to do this for just a partition or the whole disk. For advice on how to do this see our page Imaging a computer. Ensure that the image is transferred to the new drive and tested before returning to the customer if you are doing this work for profit. If you are successful at doing this then the next step is to re-install the Operating System and copy the files back onto the profile on the new installation. If you are doing this as a business and the client does not own a copy of the Operating System you may have to ask them to buy a new copy. It is handy to keep a spare USB to SATA/IDE converter in your toolkit. Also bear in mind how you will pass the recovered data back to the customer as sometime there can be quite a lot which will not fit onto your average USB stick or blank DVD. Ask the customer how they would like it back, you could perhaps sell them the converter and clean the drive data up for them and give them these two things back. You could even win favour with your regular customers by lending them your cable and ask them to return it.